FAMILIES IN THE BUDUBURAM REFUGEE CAMP ARE SEPARATED and praying EVERY DAY to be together. In the case of all these refugees, part of the family is in Liberia while the other family members are still stranded in the refugee camp. They have no help. LETS BRING THEM HOME FOR CHRISTMAS. PLEASE PASS THIS ON. Fathers need to be with their children, wives need to be with their husbands. TOGETHER WE CAN DO THIS. My EARNEST PRAYER is that we can help IN TIME FOR CHRISTMAS!! Agnes and her 4 children are stranded in the Buduburam Refugee Camp with no way to get to Liberia. We are believing that these children will join their dad in time to spend Christmas together. Alexander went ahead to find a place for the family to stay. He settled in the County of River Gee where he rented a small place hoping and praying that the family will join him soon. Their passion is evangelism. They are both very strong believers. Leona with 4yr. 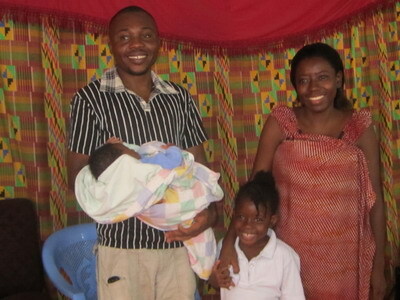 old daughter Success and new baby Covenant have just arrived in Liberia. They are staying with a friend until they can find a room to rent. Because of the baby we assisted them to fly home, rather than face the challenges of the long bus ride home. Augustine, the father will go by bus, when there are sufficient funds for this. Leona has been one of our Prayer Leaders with our Single Mothers Program on the Camp, for many years. What a blessing! 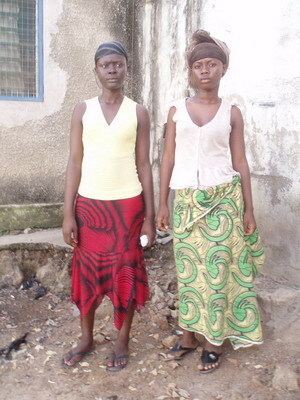 Meetemar Sackor and Linda Blessing Somah are two young girls that are asking to go back to Liberia. There is no future for any Liberian in Ghana. The Government of Ghana has officially closed the camp and is asking that they all go back home. I am asking the question, How will they go, with no funds? Where is the UNHCR? Both these girls can stay with their Grandmother when they arrive in Liberia. They will have minimal luggage, since they have almost no clothes. 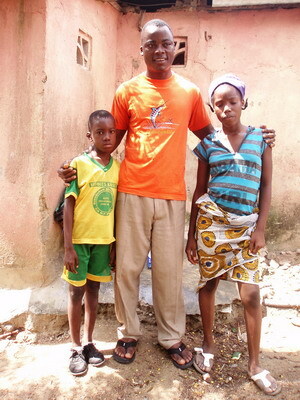 Pastor Rufus Garley and his two children are continually asking me to go home to Liberia. His wife Josephine has been in Liberia already for months. Of course they miss each other, and pray every day for someone to come along to have mercy on them. The children would like to be in school too.